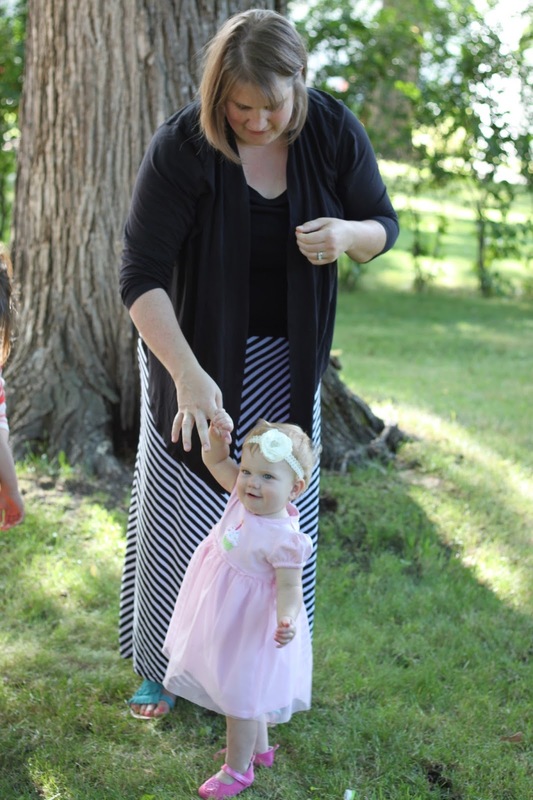 My GiGi turned one! Man, it's been a fast year. I can't believe it. So playing the good mom I wanted to bring some cupcakes to daycare to celebrate the occasion but as usual I was short on time so I googled cute kid cupcake ideas and came across this wonderfully simple idea from bigflavors. Place a large Nilla wafer along the bottom edge for the mouth and nose. Cut a mini Nilla wafer in half and stick into the frosting along the top of the cupcake for ears. Place two chocolate chips just above the large wafer for eyes. Use the red gel icing to draw a mouth and black to draw two dots for a nose and pupils for the chocolate chip eyes. That's it! They were a huge hit at daycare! I was told I was the "cool mom" of the day--an award I'll take any day. I made a variation for the family birthday party when I ran out of chocolate frosting. Bears! To match the monkey cupcakes, I created a monkey smash cake. I baked two 6" round cakes that I layered and frosted. I baked a large sugar cookie for the mouth and used Nilla wafers for the eyes and ears. Smash cake was definitely a hit! Curly girl got in on the action too. Yum! Now time for a bath. Maybe it's cruel of me but I love a crying birthday picture. Oh yeah! 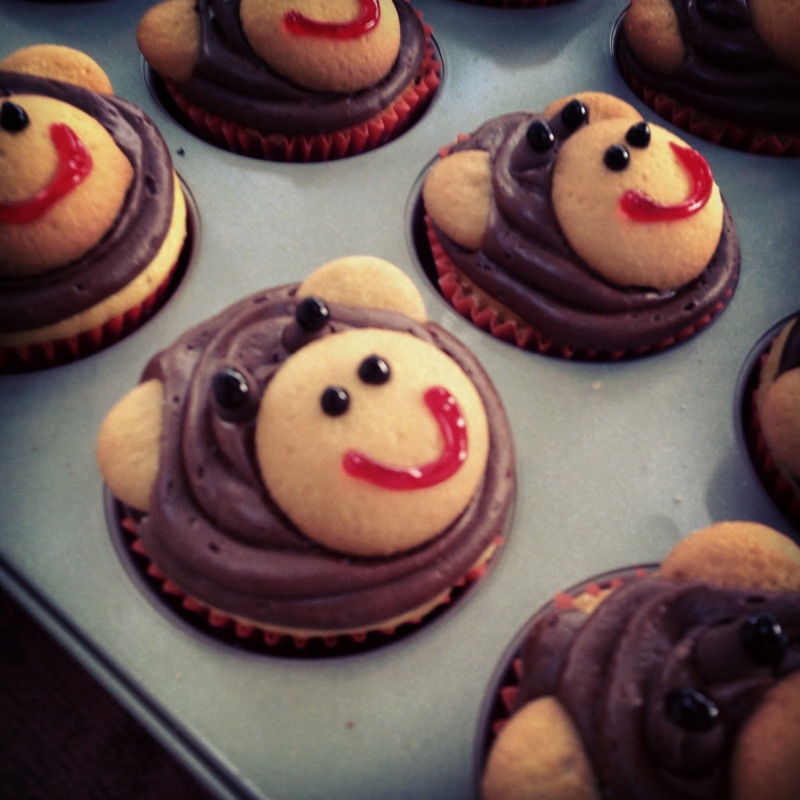 That monkey cupcakes are so cute! I will try this and I know that my kids will love it too.